SPANISH FORT - Professional fishing star Bill Dance drew long lines last week at the Bass Pro Shops grand opening, despite wearing his trademark bright-orange Tennessee Volunteers hat in Alabama and Auburn country. "When I'm in Alabama, this stands for Tuscaloosa," he joked about the "T."
Southwest Alabama fans of Dance could be seeing a lot more of that hat in coming years as he plays a role in the planned Cypress Point development just a few miles north of the outdoors mega-store. As the project moved through the at times contentious approval process in recent months toward a final vote Tuesday by the County Commission, Dance's name has popped up as part of the big-picture plan. The rezoning from R2B to R6 (single family) and site plan vote is on the agenda for Tuesday's meeting, if it isn't postponed due to Hurricane Gustav. The rezoning is necessary for the developers to pursue a revised project, planning officials said. The original plan in July 2006 called for 470 units in five condo towers ranging from six to 14 stories on the 98-acre site. But Cypress Point's plans now feature 300 one- and two-story rustic cottages elevated on piers, along with one 10-story, 100-unit condo, restaurant, general store, dry boat storage and marina with space for 112 boats. "Bill Dance Outdoors" will have a strong tie-in with Cypress Point if it gets the final go-ahead. As he signed autographs and posed for pictures Wednesday, he talked about what that will mean. To understand the concept, think about golfer Jack Nicklaus, Dance said. Nicklaus, the 18-time PGA major tournament winner, goes around the country helping to design and promote golf courses. Dance said uses that concept for fishing through his "Signature Lakes" series. But because there's no lake that needs to be created at Cypress Point, it would be the first "Bill Dance Fishing Destination," he said. Its marina and outfitters store would be a "launch pad" into the Mobile-Tensaw Delta, Dance said. Dance will film fishing spots in this area, make personal appearances, link to Cypress Point on his Web site and run advertisements for the development, said Robert Chandler, president of Bill Dance Signature Lakes. "Right now Cypress Point is a sponsor of 'Bill Dance Saltwater.' He'll fish in the area and film one or two shows in the area," Chandler said. There also will be product and educational tie-ins at the outfitters store being planned for Cypress Point, Chandler said. Chandler talked about Dance's involvement at the June meeting of the county Planning and Zoning Commission, in which members narrowly recommended approval of the rezoning. Due to questions about the legal advertising for that meeting, the issue went back to the planning commission Aug. 7 and again was recommended to commissioners for approval. "If you ever flip the channel and watch TV and see a fishing show and you see the guy with the Tennessee hat on, that's him," said Chandler, who is Dance's son-in-law. "He's kind of the iconic legend within the fishing community. Bill started the television market for fishing some 35 years ago and was the first to syndicate. ... He's a conservationist, a fisherman, an environmentalist and educates people how to enjoy the outdoors." Dance visited the Cypress Point property several times in recent months and discovered the diversity of fishing opportunities available in the area, Chandler said. "This Mobile-Tensaw Delta really excited him and he became very, very fascinated with it and saw that there was something special with this," he told the planning commission members. 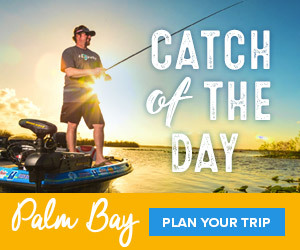 "The mix of freshwater to brackish-water fishing to saltwater fishing, matched with the diversity of ... the types of species that anyone can enjoy ,Aei from tarpon to bass within just a few miles, from shark to catfish, from trout and crappie. "In fact, Bill found himself in his wonderland." Dance has been filming some fishing expeditions in the Delta area in recent months and will be back, Chandler said. "He will be doing personal appearances to promote Cypress Point and the Delta. This is not a 'sign the contract, put a sign up and then go away,' We work proactively to improve the fishing experience, partner with others on the development team to enhance the water experience to create a -significant point of difference - about Cypress Point. Each person who visits or is a property owner, will know this a special place." he said.